A tragic incident happened in Gorakhpur where a class five student committed suicide after her school teacher was severely punished. Only 11-year-old publication, St. Anthony's Convent School student, allegedly consumed poison and died in hospital. "Today I'm going to end my life"
Eventually, this is a suicide note - found in his school bag - which has revealed the cause of his suicide and the name of the responsible teacher is also known. Nabnit wrote in his heartwarming letter, "Dad, today was my first test and I cried to my class teacher Soca Nata, I was kept for three periods, he only listened to his students, I'm going to finish my life today. Please, please tell my mom not to give such a serious punishment to anyone. " She also told her final wish and requested her class teacher to make her feel like she did not punish anyone else. "Tell my teacher not to give such a fatal punishment to anyone," he wrote. The parents of the publication, in this extreme condolences, FIR against the teacher, the idea. They blamed the school authorities for their loss. The parents of the student said that on 15th September, Nawabn went to school to take the exam but returned to the state of distress. When he was asked what happened to him, he informed that he was harassed by the teacher and that he used to eat poison in a few hours. Panic parents also revealed that the idea often harassed their son and they had earlier filed a complaint against the school authorities. Police Superintendent Vinay Kumar Singh told reporters, "We have arrested the teacher, the thought and investigating the matter." The parents found the swidid note inside the polythene bag in a glass bag inside her glass, which was causing a scary smell, perhaps she Wept a poison because when his family members rushed to the hospital with him Something was coming out. " 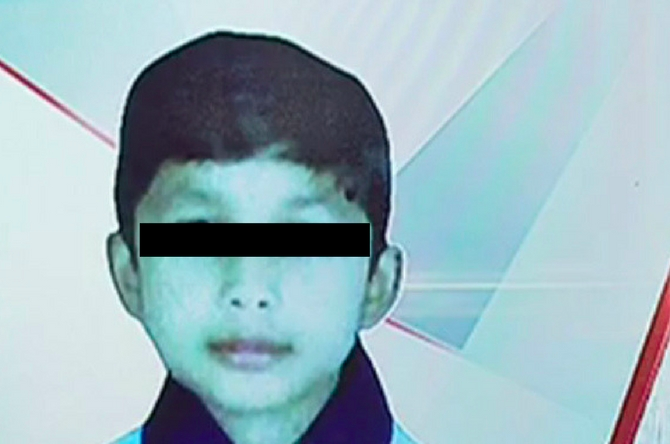 Although no statement has yet been issued by the school authorities, this incident also happened after the death of Pradyumna Tagore, a 7-year-old boy. The body of Pradyumna is a classmate who goes to the toilet and sees the blood on her own body in the washroom floor. In another incident a few days ago, we told that a 6 year old girl was raped by two employees of the school in a famous government school in Barmer city of Rajasthan. These acts are brutally showing that how private schools are brutally indifferent to their students' safety and security arrangements; At the same time, the supervision of the school authorities on teacher-teachers and employees how weak. And so, today children need to become more alert and enthusiastic when they return home after being upset from school. We spoke with Anju Kapoor, a psychiatrist of Delhi, who explained that it is important for parents to keep a close eye on the children. "Sometimes the children (in their lives or at school) go through a ruthless time and they can not control their emotions, and at the end they can not believe their own people anymore," he said, adding that due to this they may get depressed and commit suicide. Parents should give their children a lot of time and sit with them. Teach your kids to let you know if something bad happens to them. To eliminate such thoughts from their mind, put them out in sports or other activities. Finally, assure them that you have support on them.